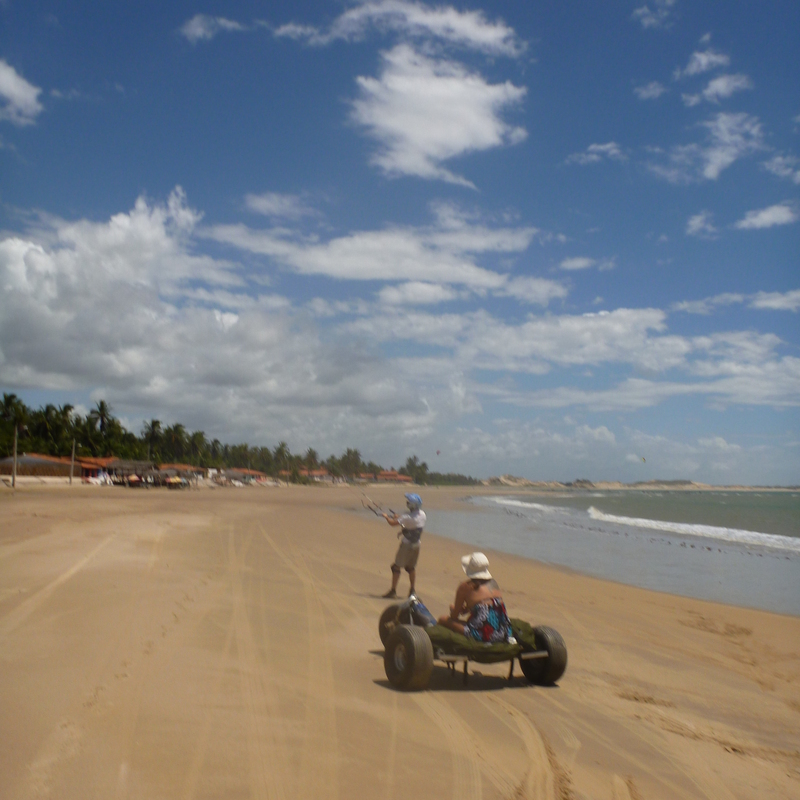 Charlie had a few out of buggy moments – preferring his passenger to hold onto the bag and buggy rather than him, therefore struggling with the added inertia needed to start and stop in the deep sand. I however, put my passenger Adriana to good use – getting her to hold on to me like a motorbike rider, which helped me avoid being ripped out of my seat by the kite. Relieved to reach Icaraizinho all still intact! Having negotiated miles of tricky off road sections which held little margin for error, we soon found ourselves in Icaraizinho where we dropped off our shaken and sandy (but thankfully injury free) passengers. It was then we paused to look at our surroundings. Situated in a palm lined bay, with areas for both waves and flat water, Icaraizinho gets the full force of Brazil’s North East wind, so it’s no wonder Club Ventos has chosen this spot to open a windsurf hotel. With the main income from fishing, there’s little tourism in the town and it has the same atmosphere we’ve enjoyed at other small settlements along the coast. Locals sit outside their houses in hammocks and socialise until late at night, and fresh coconuts are sold for a few cents at roadside stalls. 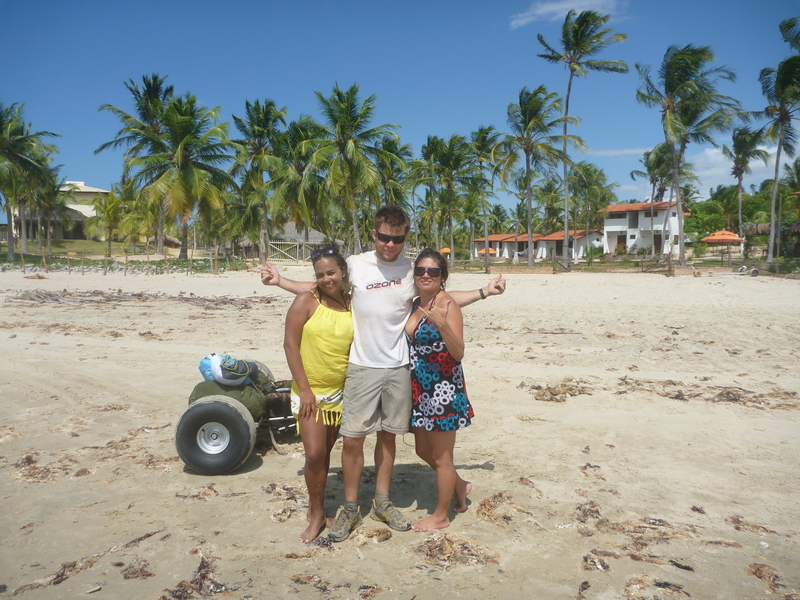 This entry was posted in Club Ventos, Journal, Sponsors and tagged club ventos, fabio nobre, icaraizinho, kite buggy passenger, kite buggy ride, kite buggy taxi, windsurf brazil by Harry Thuillier. Bookmark the permalink.